Haven't you heard? Teal is the new black. Well, not really but it's a fantastic color that is perfect for those projects where you can't make up your mind between blue or green. Or like me, you love the color of the ocean on a perfect day in the Caribbean or a fantastic Navajo turquoise necklace. 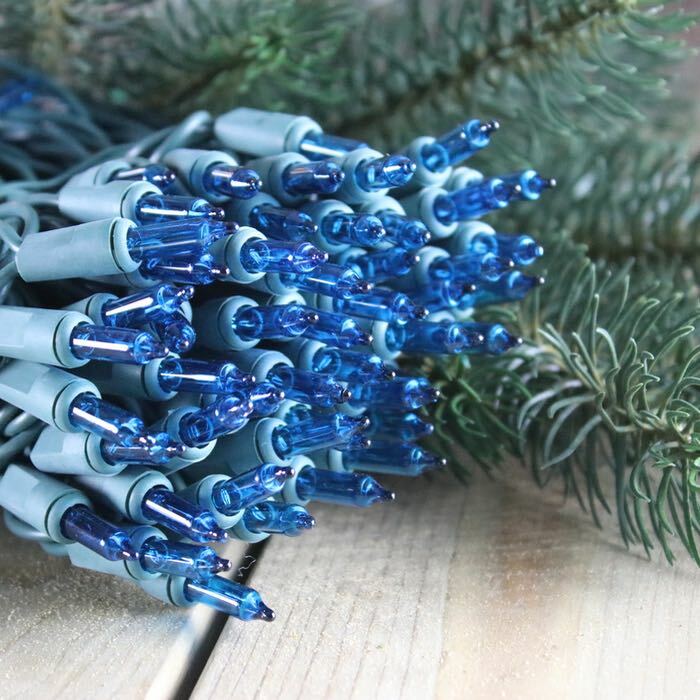 This light set is manufactured with green wiring which makes it ideal for accenting Christmas trees and garland. 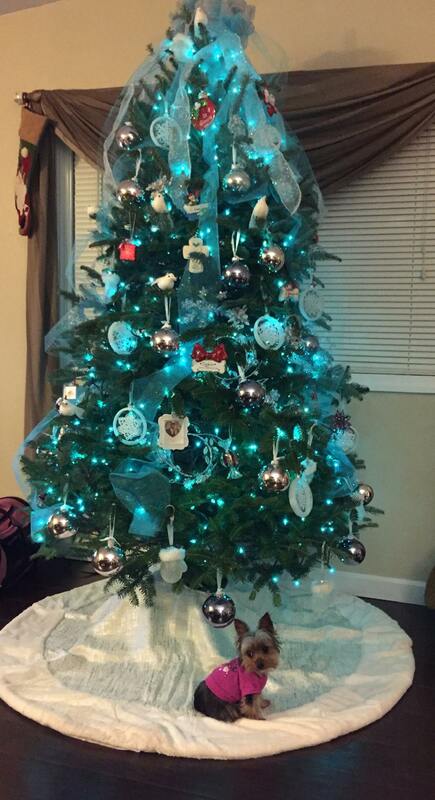 While teal has gained popularity used as Christmas tree lights, we see sales for this color of light for Mardi Gras and South of the Border style Fiesta Parties. A popular marketing color, small boutiques, and spas love teal. If you'd love to create a soothing upscale environment in your own space, install these lights from your bed canopy, above your kitchen cabinets or use them on your outdoor shrubs. These teal lights are exactly what I was looking for! 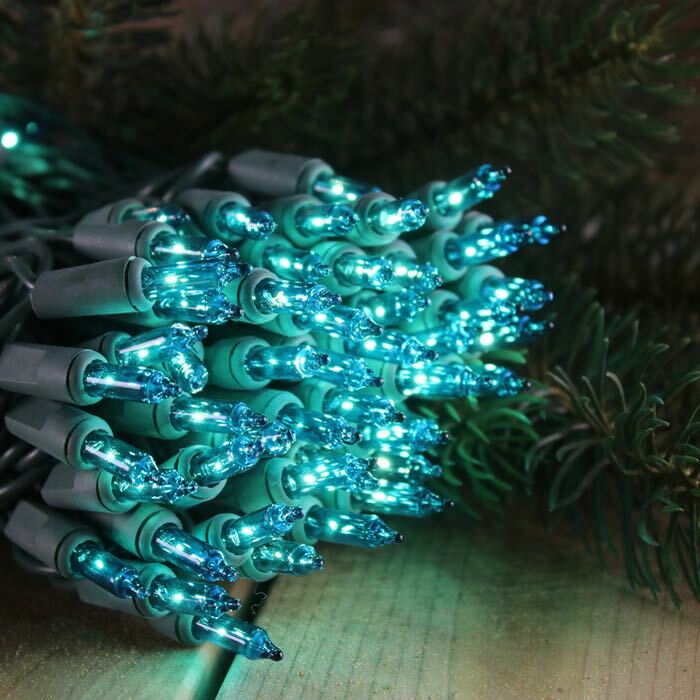 These lights are beautiful -- just the "aqua" color I was looking for. Shipping was very quick and everything was packaged well. I have 4 strands connected in series -- all is well. Really nice color. Q: if one bulb burns out do the rest stay on?